Kansas forward Dedric Lawson (1) gets in for a bucket over TCU forward JD Miller (15) during the second half, Wednesday, Jan. 9, 2019 at Allen Fieldhouse. In the first couple games of his Big 12 career, University of Kansas forward Dedric Lawson quickly discovered that his name and game were no secret to opponents. Lawson may have spent his first two college seasons at Memphis and last year as a redshirt, but even before his debut season began at KU coaching staffs around the Big 12 were bracing themselves for his arrival and trying to figure out ways to defend Bill Self’s latest star. 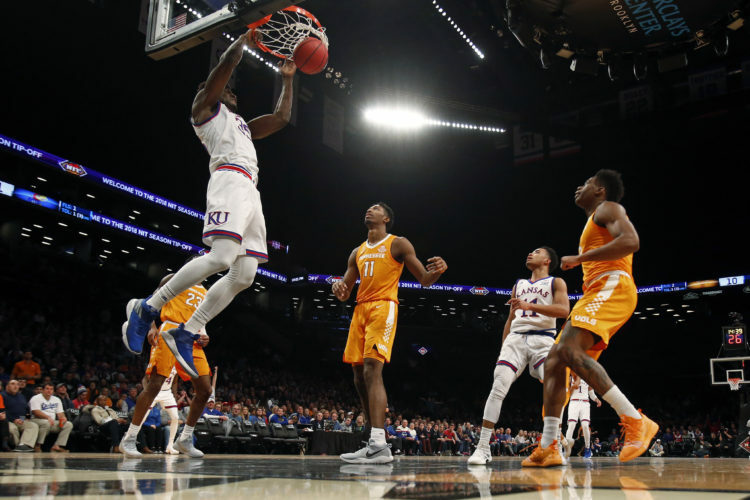 Against both Oklahoma and Iowa State, Lawson learned that foes will collapse on him quickly and from all directions, because he’s the focal point of KU’s offense — and Kansas lacks the 3-point shooters around the perimeter to keep defenders honest. 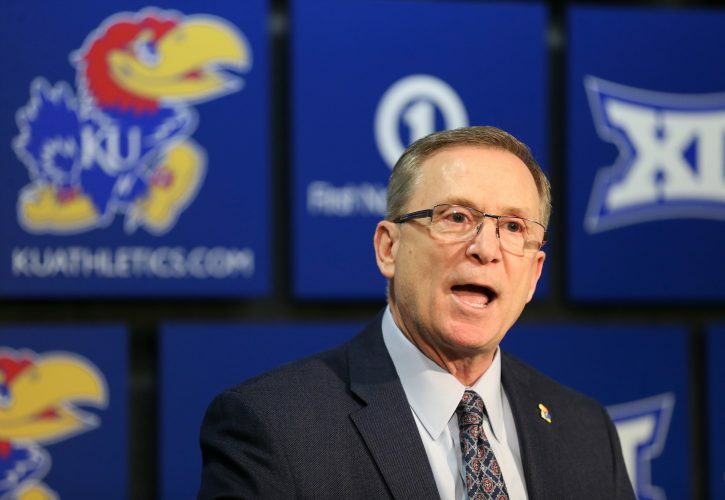 If they can swarm at Lawson without the threat of getting burned from downtown as a result, why not clog the space surrounding KU’s most effective offensive player every time he touches the ball? A smooth, 6-foot-9 scorer who is now averaging 19.5 points on the season and hitting 50.2 percent of his shot attempts, Lawson went 6 of 17 and scored 13 points versus OU on Jan. 2. This past weekend at Iowa State he went 5 for 11 to finish with 13 points and, more troubling, turned the ball over six times. But Wednesday against TCU, Lawson looked like someone comprehending what it takes to succeed following recent encounters with pesky defenders. He scored a season-high 31 points on 10-for-19 shooting and turned the ball over three times in 35 minutes. So how did Lawson do it? The man who will now have to carry the Jayhawks’ offense the rest of the way with Udoka Azubuike out for the season said he spent some quality time with his iPad a few nights this week. “Just chillin’. Ran out of shows on Netflix and I just popped in that,” Lawson joked of reviewing game footage from KU’s 1-1 start to conference play. 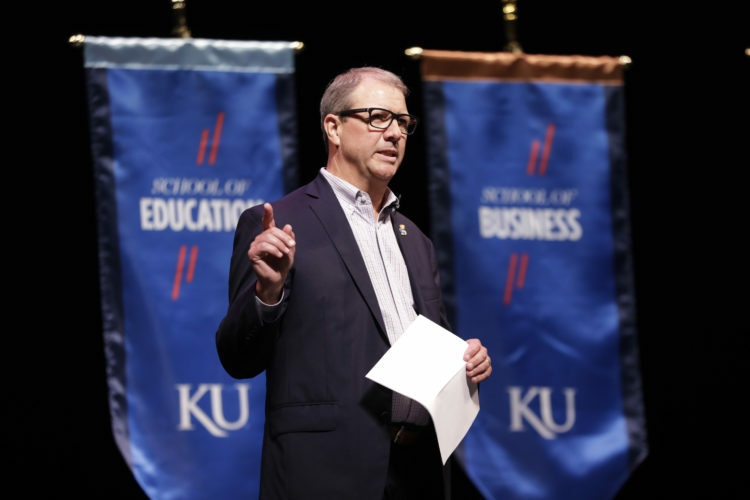 A former assistant coach and math teacher of Lawson’s from his prep days at Hamilton High, in Memphis, facilitated the KU forward’s fine tuning. Lawson said he communicates with Kevin Conley “every single day,” and his old confidant often offers him feedback when the Jayhawks’ versatile big tells Conley what he needs to work on. It was Conley who advised Lawson to be more decisive with his moves when he gets the ball — “Just being quick with your moves, going to your moves quick before the double-team comes and things like that,” Lawson related. Lawson said his former coach has helped him develop since he was a 9th-grader in Conley’s math class. “That’s how the relationship started. He didn’t know how smart I was in math,” a grinning Lawson added. 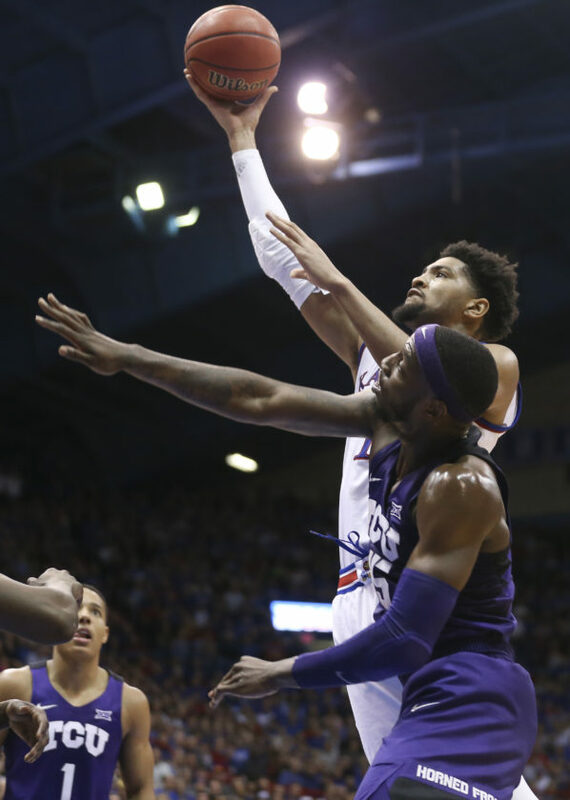 Much in the way Lawson has grown more comfortable with Big 12 defenses over the past week-plus, his effectiveness seemed to enhance over the course of KU’s home win over TCU. After going 3 for 6 from the field (2 of 4 in the paint) in the first half, Lawson later proved he can be the go-to player the Jayhawks need. Playing all but one minute of the second half, Lawson scored 18 of KU’s 37 points, shooting 7 of 13 from the floor (6 of 8 in the paint). As outlandish as it may come across on first glance, Lawson clearly is capable of doing even more for KU. Just ask Self about how comfortable his best player looked against TCU. We’re just now beginning to see what type of offensive force Lawson can become for KU. With Azubuike sidelined, Lawson will have to touch the ball as often as possible to maximize KU’s offensive efficiency. Lawson even showed against TCU he just might be able to provide an added bonus on that front as a shooter, knocking down 2 of 4 3-pointers (he entered the game having made only 4 of 24 on the season). Of course, Lawson’s primary role will be to score inside, keep drawing the attention of opposing defenses and continue evolving as a distributor with so many athletic guards playing around him. Lawson knows, too, that for KU to truly peak this season, he will have to do more defensively than secure rebounds (his 8.1 defensive boards and 11.3 rebounds overall both lead the Big 12). And keep that iPad handy, so he can persist in his ongoing transformation as a high-volume scorer for No. 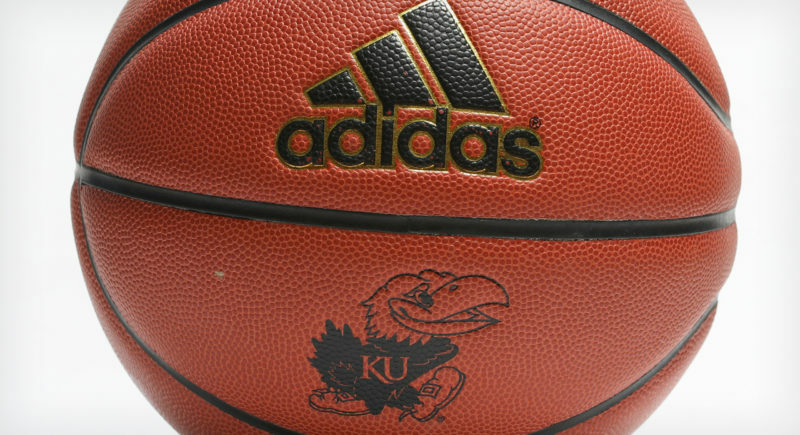 7 Kansas (13-2 overall, 2-1 Big 12).